#You will need to have Adobe reader installed. 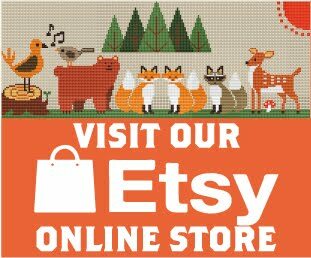 #You may sell your finished cross stitch item. #Secondary distribution is not permitted whether or not they are altered. © COCONUT　2017. Powered by Blogger. Thank you for visiting! I am Natsu. Here are all of our Free and easy printable cross-stitch patterns . I hope you enjoy sewing it. © Free cross stitch pattern | All rights reserved.